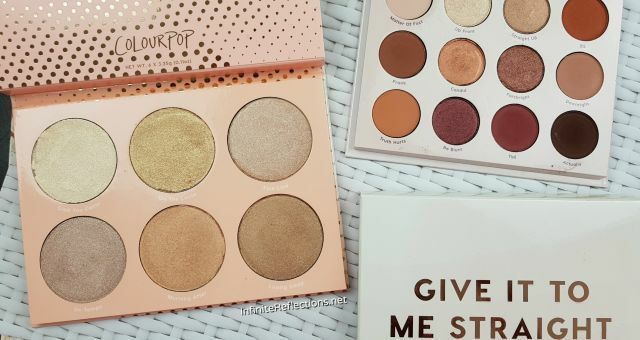 There are very few palettes in this world which are an instant love for me. 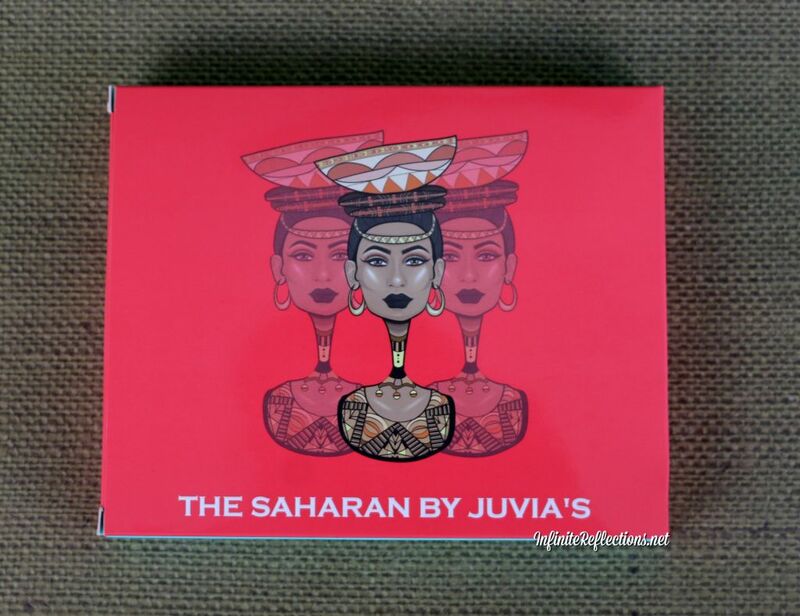 The Juvia’s Place Saharan Palette is one such palette for me.It is by far the most unique palette’s I have seen in a long time and I could be happily go ahead and purchase this since I had nothing like this in my collection. When I tried out the palette, I was amazed at the quality. 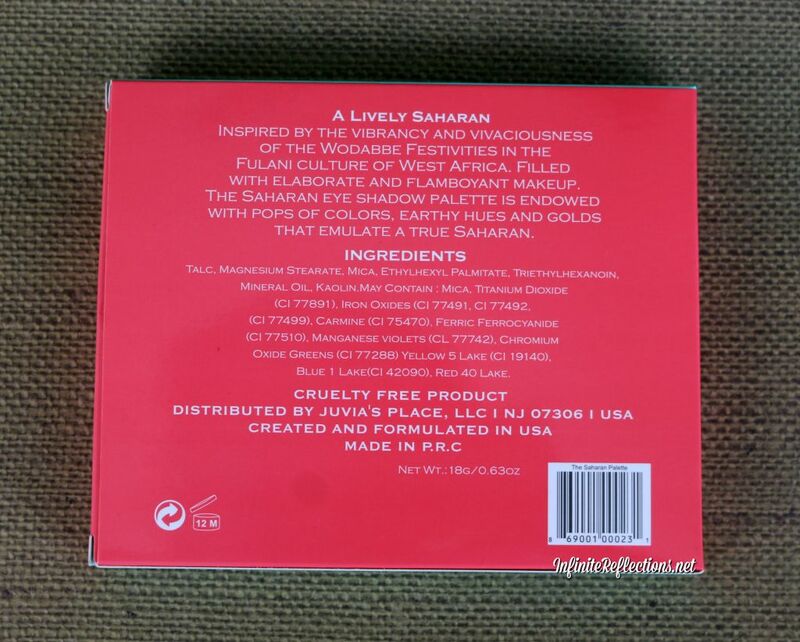 The palette has a very attractive packaging with these caricatures of African tribes women on the cover, it is very appealing. I loved the theme of the whole design. The packaging is standard cardboard material which seems very sturdy. 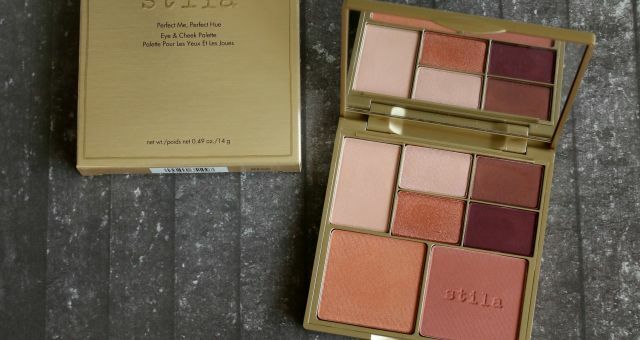 It is quite lightweight and will be very good for travel if you need to travel with this palette. There is no mirror in this palette, but I don’t really mind that. I am not really a person who needs mirrors in everything. 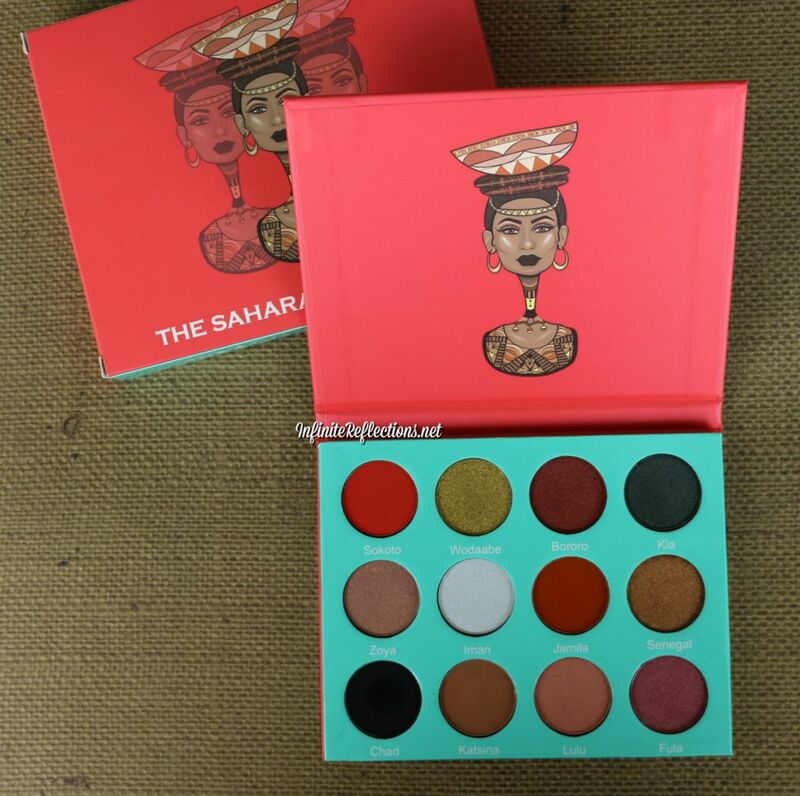 There are 12 eyeshadows in this palette and the whole palette weighs 18G/0.63 oz as specified on the packaging. 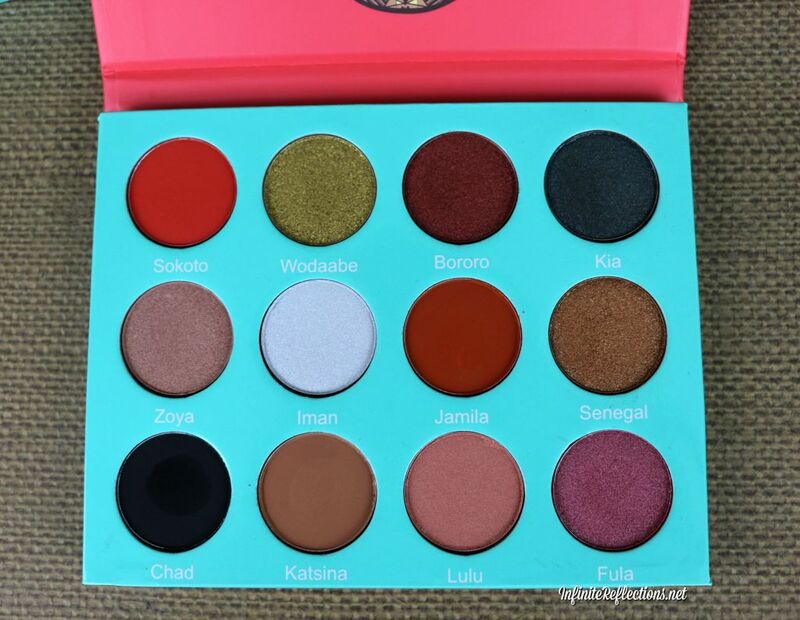 This palette is available in Singapore for SGD 39.90, which I think is quite fair considering the quality of shadows. The price point is totally worth it. I got mine from Qolourette, and it is also available on ComaMakeup. There 4 matte shadows and 8 shimmers or metallic shadows. Matte – Sokoto, Jamila, Chad, Katsina. The pigmentation of all the shadows are very consistent and hats off to the creators for such amazing quality of shadows. 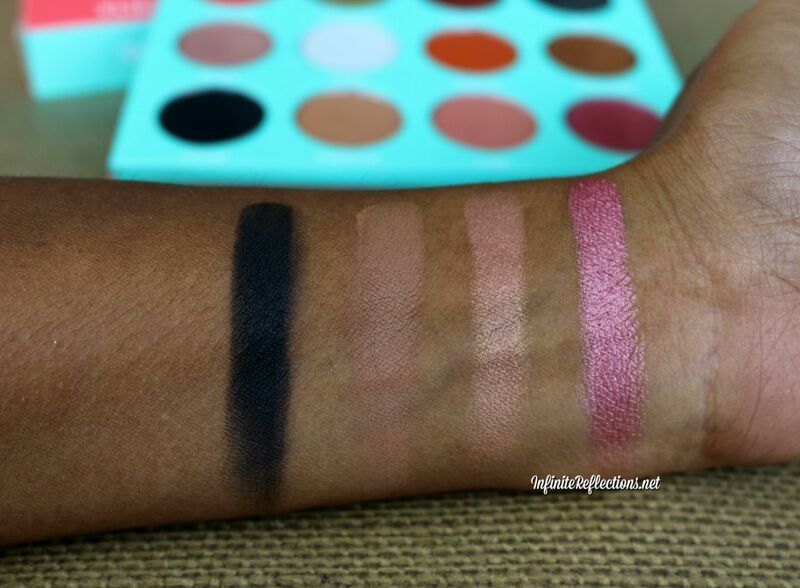 The mattes are soft, buttery and pigmented and they blend like a dream. The black shadow “Chad” is an intense matte black and is probably the most insanely pigmented black shadow I have ever seen. The other mattes are also equally amazing. 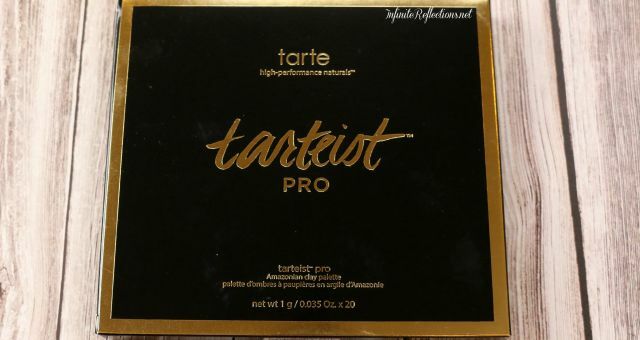 But, the real winners are the shimmer or metallic finish shadows in this palette. They are insanely pigmented! When I had swatched the metallic for the first time I had my jaws drop literally and I just died and went to eyeshadow heaven. The colour pay-off is amazing, even when you use the brush. Most of the times I use my fingers on shimmers for more intensity, but these shadows work excellent even with brushes. 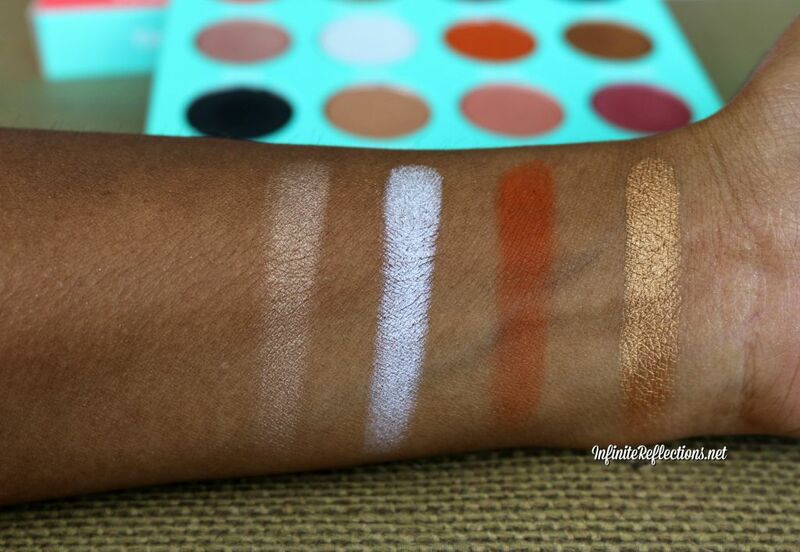 I don’t have a single negative shadow to talk about for pigmentation and colour pay-off. They are amazing! Below are the row by row swatches of all the shadows. For SGD 39, this is an amazing find. 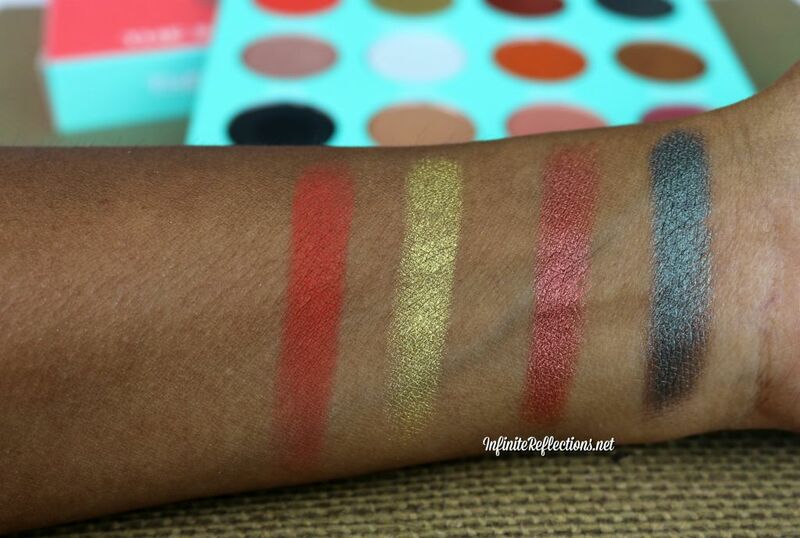 I would say if you love colorful eyeshadows, then you go ahead and grab this one. It is totally worth it. Watch my full review on YouTube. 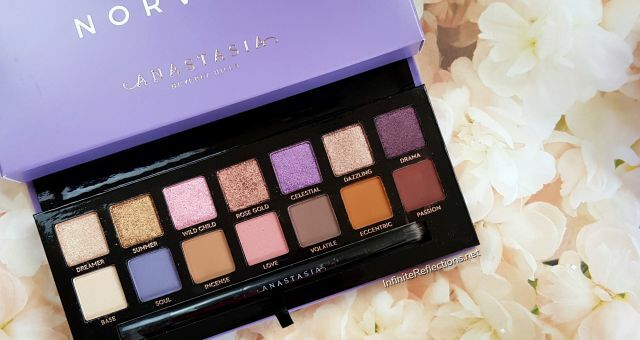 Lovely palette… U shown this palette in ur last video as well… And i love both the palettes from juvia’s place.